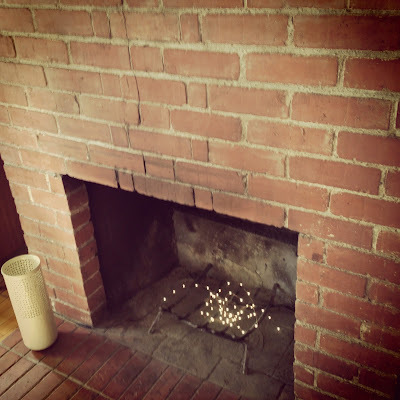 I love the little details that make a home, and I'd like to share a favorite in mine -- lights in the fireplace. Whenever I don't have a fire going, I keep a delicate copper strand of LED lights lit up in there instead. Especially at night, it's twinkly and beautiful -- warmth and ambiance year round, without the firewood. 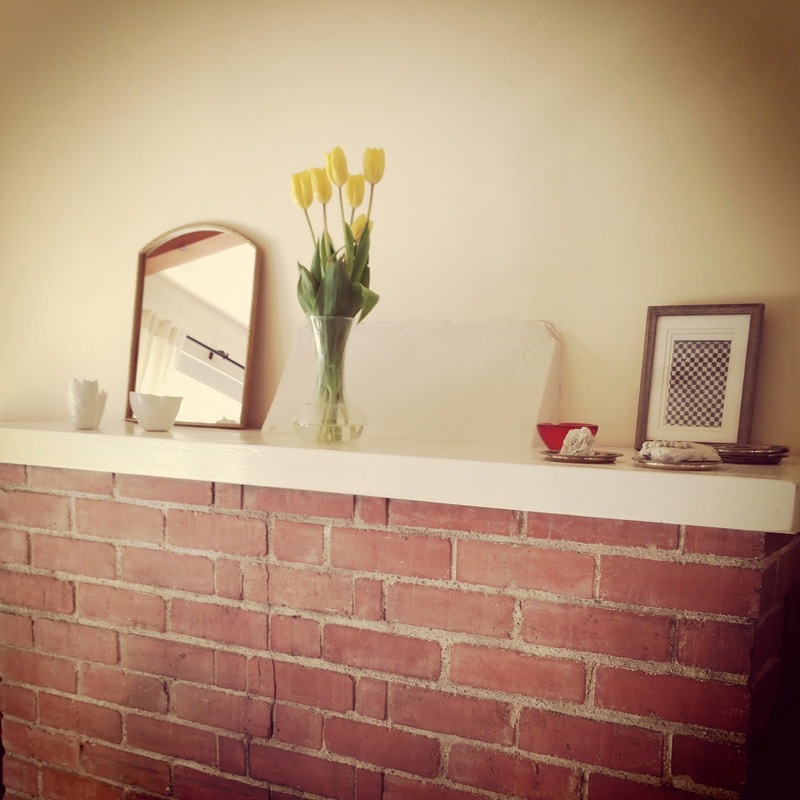 Would be a lovely permanent solution to a non-working fireplace, too. While we're over here... a glance at the rest of the hearth. It's little and sweet, with old exposed brick and true simplicity. The mantel is minimally adorned -- just a few items that I love to have in my view each day.